The Chop: 3 hours, 6 inches of hair. Like many women, Simone Anderton was rather attached to her long hair. Until recently, it had been the same length for six years, and the same colour for three. 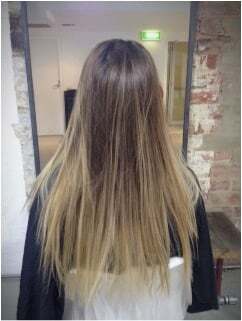 Yet inspired by Lara Bingle’s perfect beach hair, the teaching student and office assistant decided it was time for a change – a beachy, wavy, sunkissed kinda change. 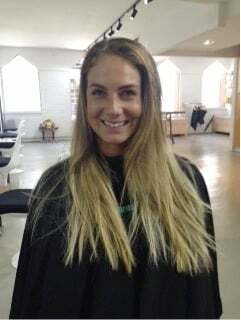 This what happened when Simone sat down in her hairdresser Lauren MacKellar’s salon. Spoiler alert: about 6 inches of hair was chopped off. 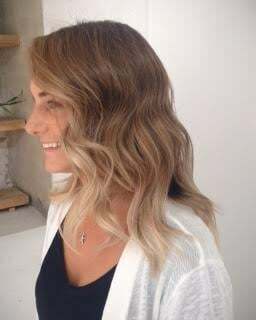 I have been thinking about it for a year now but never had the guts to do the chop. I finally decided to let my long hair go and try something new. Have you had any major life change lately? I am getting married in February so beginning a new chapter in my life. What sorts of things were you looking at to get inspiration for your hair? 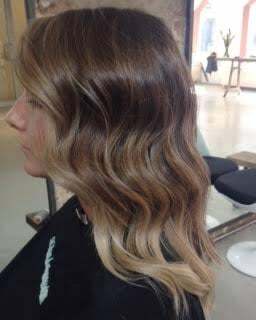 I love beachy waves and hair that is low maintenance – Lara Bingle’s look was a big influence for my hair change. My hair muses are Poppy Delevingne, Sienna Miller and of course, Lara Bingle. Around 3 hours in total. I’m not gonna lie- it’s really satisfying chopping off that much hair! 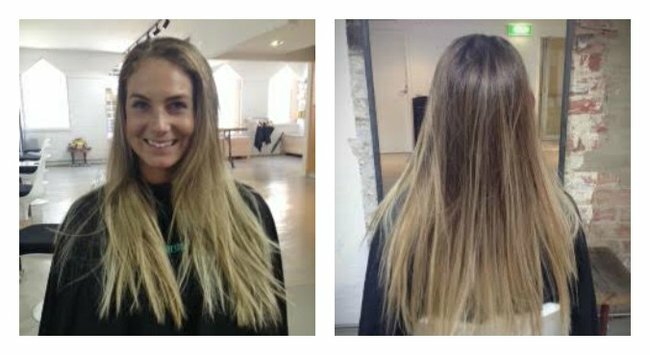 It’s also great to see so many people steering clear of the old school “1/2 head of bleach highlights” look and wanting a more flattering, softer look with their hair colour. What sort of inspiration did you have in mind while you were doing Simone’s hair? Anything beachy! The picture that Simone brought in was of a look I’d done previously on someone else, and it was softly textured with no blunt layers, a bit of shaping around the face. 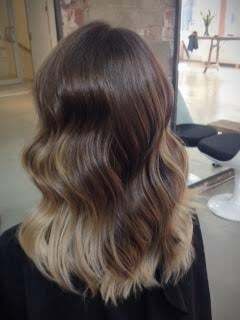 The colour was to be a lighter and brighter, sunkissed look with her natural base colour still prominent. I wanted her to look and feel ‘fresh’. 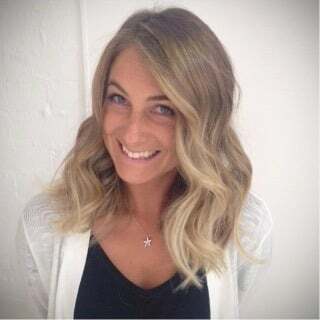 When we were finished, Simone said she felt more sophisticated with the shorter length, which is great because the style will look great when she’s been at the beach all day or when it’s blowdried and styled for work. Firstly, before starting the colour process, I chopped off around 5 inches. That made an immediate difference – SO much better! 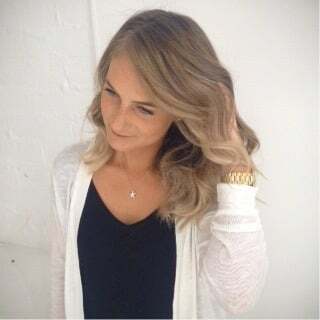 Then I highlighted the front hairline with very fine highlights, and did some cleaning up of her old blonde by adding some balayage through the underneath and under the crown/sides, making sure to leave enough of her natural colour in between. 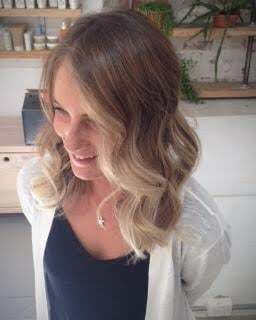 Then we toned with a beautiful powdery blonde colour to finish off. You can make an appointment with Lauren MacKellar here.